In today’s unboxing we got our hands on the Panasonic AW-RP150GJ Remote Camera Controller. To go along with the Panasonic UE150 PTZ Camera, this new controller is a significant upgrade from the AW-RP120 - including a 7” touch screen display, color adjustment settings, control of up to 200 cameras, and an upgraded joystick with zoom and focus control. With a similar design to the AW-RP120, this controller offers the familiarity with some major differences. The 7” touch screen monitor is a notable upgrade - not only is it larger in size, it has camera controls - including focus, zoom, and even an HD crop to pair with the Panasonic UE150 4K PTZ Camera. The screen also includes a touch focus function, allowing for quick auto focus. 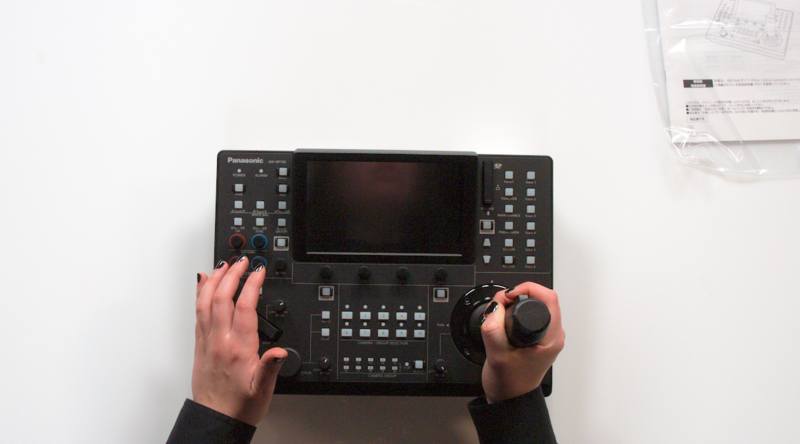 In addition to the screen, the updated joystick includes zoom and focus control, making for easier moves and more freedom as an operator. 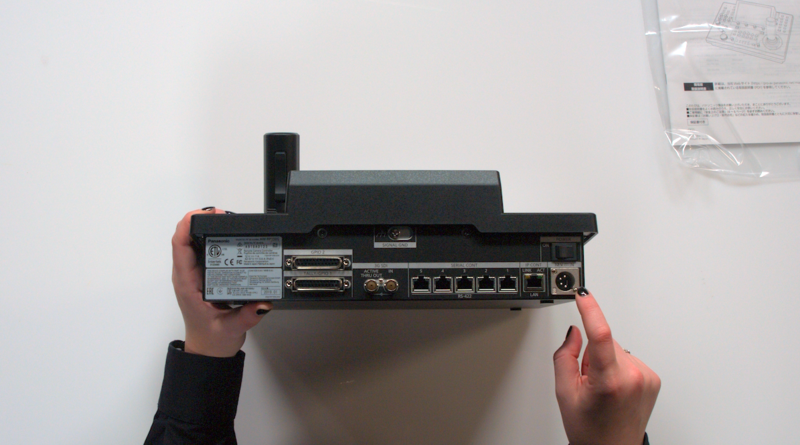 The LAN connection allows for POE, but there is also a 4 Pin XLR 12V Power option if you purchase a power supply, and the controller offers an SDI In, and loop out for monitor control. 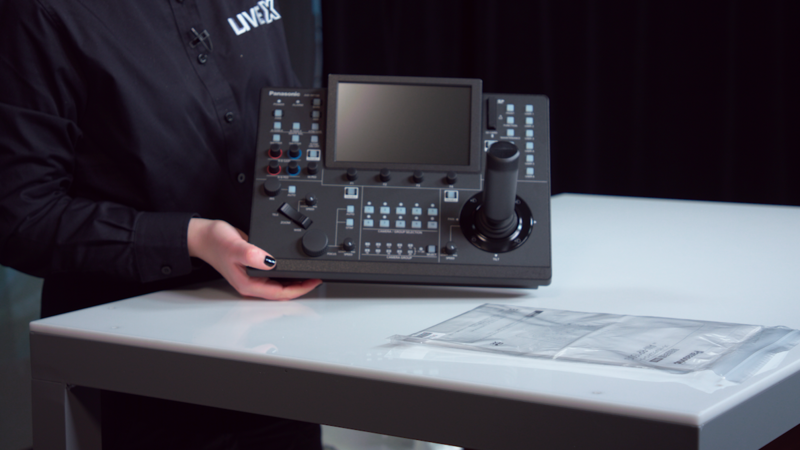 With tracing memory functions, up to 100 memory presets, an SD card slot, and multiple scene options, this controller makes large shows easy to operate and ingest on one system.